Paolo (Giovanni) Nutini is a singer, songwriter and musician with a confused national identity. He has an Italian name but was born and raised in Scotland, where his family have resided for three generations. 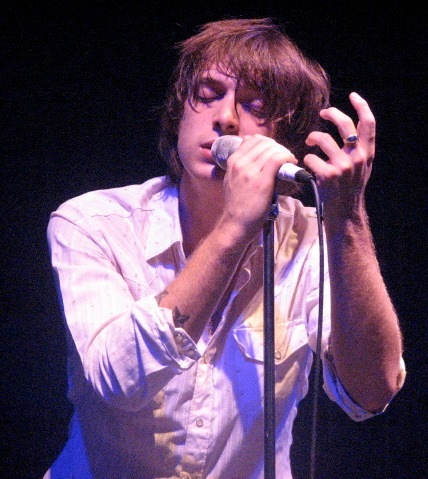 Paolo Nutini’s debut album, These Streets, was released by Atlantic Records in the United Kingdom in July 2006 and included the singles Last Request, Jenny Don’t Be Hasty and New Shoes. Last Request, the most successful, reached number five on the UK Singles Chart. The album peaked at number three on the UK Album Chart and has been in the album charts for a record-breaking 196 weeks. In May 2009 Nutini released his second album, Sunny Side Up, which debuted at number one in the UK.